Fibromyalgia is a condition characterised by general pain, fatigue and nonrestorative sleep. It is surprisingly common, affecting between 3% and 8% of the population. Around 75% of people with fibromyalgia are women and most people with symptoms are aged between 30 and 50 years. Although the current diagnostic criteria for fibromyalgia do not include sleep-related abnormalities, sleep disturbances and complaints of poor sleep quality and daytime fatigue are common. In fact, sleep-related complaints are second only to pain. It is reported that up to 75% of people with fibromyalgia report unrefreshing or nonrestorative sleep. What sleep symptoms occur with fibromyalgia? A common symptom is of feeling unrested or even more tired after a night of sleep. People I see with fibromyalgia also commonly report sleep being fragmented, or waking early in the morning and having difficulty returning to sleep. Despite these sleep difficulties and a constant feeling of fatigue, people with fibromyalgia are not usually overtly sleepy. Research trying to objectively measure sleepiness using tests such as a multiple sleep latency test have shown that people with fibromyalgia are not any more sleepy than healthy controls. So, whilst people with fibromyalgia often lack energy and feel fatigued, sleepiness or uncontrollably falling asleep throughout the day is not usually part of fibromyalgia, so when people report symptoms of sleepiness it makes me think that there may be other sleep disorders present or other factors contributing to their symptoms. Restless legs symptoms have been described to be more frequent in females with fibromyalgia compared to females in the background population. It is not clear whether this results from a common central process such as dysfunction of the dopaminergic system, or whether the fragmented sleep associated with fibromyalgia has an excitatory effect on motor activity during sleep. How are sleep problems assessed in fibromyalgia? Clinical assessment: This is what I would usually start with, talking to people about their sleep patterns, their behaviour around sleep, medications and other medical conditions that may impact on sleep. Sleep diary: Completing a sleep diary can give insights in to sleep patterns as well as give an idea about the average amount of sleep per night, which can be used as part of sleep restriction therapy, one of the components of cognitive behavioural therapy, a non-drug treatment to improve sleep. Sleep study (polysomnography or PSG): This consists of monitoring breathing, movements, brain wave activity, muscle tone, heart rate and rhythm throughout sleep. Generally this is done in a laboratory (Video: Having a sleep study), but can be done at home. It’s important to note that many providers of both laboratory and home-based sleep studies focus predominantly on sleep apnea in the way they measure and interpret sleep studies, so may not focus on some of the features that are particularly important in fibromyalgia that are discussed below. Historically terms such as alpha intrusion or alpha delta sleep have been used to describe the sleep of people with fibromyalgia. However, this finding is not particularly consistent and not all researchers agree that the findings of alpha intrusion in the electroencephalogram (EEG) during sleep are either significant or specific for fibromyalgia. Nonetheless, some studies have shown a relationship between the degree of alpha activity on the EEG during sleep and the subjective feeling of nonrestorative sleep. A technique I prefer is the cyclic alternating pattern technique which looks at sleep stability. This can be measured by manually scoring the EEG or another way of getting at sleep stability is using cardiopulmonary coupling. I typically use both techniques, visually reviewing the EEG data from a sleep study to get a feel for sleep stability via the proportion of cyclic alternating pattern sleep, and using cardiopulmonary coupling to calculate the proportion of unstable sleep. Although many people I see with fibromyalgia demonstrate sleep instability on polysomnography, this remains a nonspecific finding. So it’s not used to diagnose fibromyalgia, but can be used to gain insight in to the severity of impact on sleep from fibromyalgia. 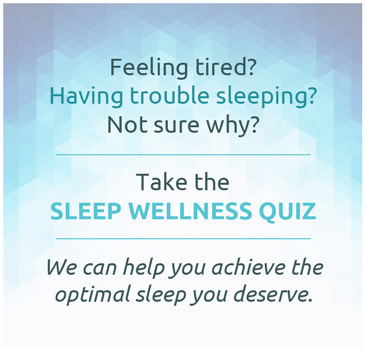 A well conducted sleep study, by a centre that has an interest in fibromyalgia and similar conditions such as chronic fatigue syndrome, can also given insights in to other factors that may be affecting sleep such as other sleep disorders, or problems with sleep regulation. What can be done to improve sleep in fibromyalgia? Unfortunately, there is no universal approach that works for everybody with fibromyalgia. 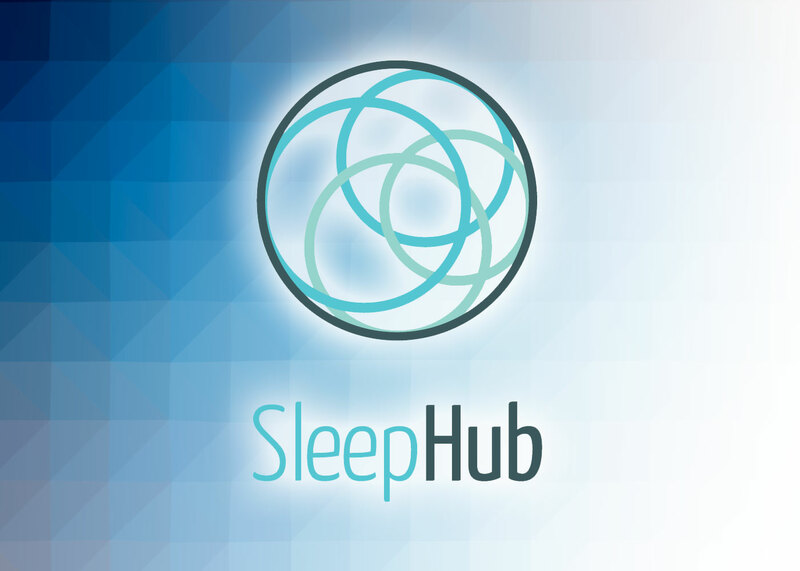 Like managing many of the other symptoms in fibromyalgia, managing sleep involves an individualised approach depending upon the particular symptoms and circumstances of each individual. As sleep is often light and readily disturbed it can be difficult for people to accurately estimate how much sleep is occurring, for this reason I do like to have some objective measurement of sleep. 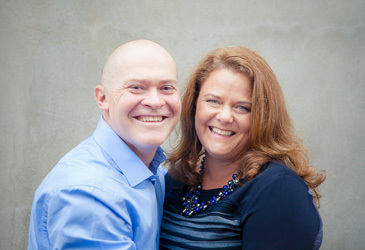 This can be done using a range of techniques including a sleep study, activity measurement using a device such as an actigraph or consumer activity tracker. However, current activity trackers can under-estimate the amount of sleep in people with fibromyalgia, as the restlessness during sleep that can be seen in fibromyalgia is often recorded as being awake. I have a bias towards performing a sleep study in people with fibromyalgia, as noted above, other sleep disorders are very common and can contribute to symptoms and having a comprehensive understanding of sleep physiology helps with planning a treatment strategy. Non-drug strategies: are an important part of helping sleep in fibromyalgia. Medications are only partially effective and work better when used in combination with non-drug approaches. Cognitive behavioural therapy: Like anyone who develops disturbed sleep and insomnia, people with fibromyalgia and disturbed sleep can develop a change in their thinking and behaviour around sleep. Given this I will generally use cognitive and behavioural therapy directed towards insomnia in sleep disturbance associated with fibromyalgia. This technique has been shown to be effective in people with comorbid insomnia such as that associated with fibromyalgia in a number of studies. Circadian rhythm management: is important in fibromyalgia as people often have a weak or low amplitude circadian rhythm in chronic illness such as fibromyalgia. There are multiple factors involved in optimising circadian function, but the basic principles are to minimise light exposure after sun-down, optimise light exposure as soon as possible after getting up, maintain regular meal times and consider use of melatonin in the evening. The general principles of managing the circadian rhythm are outlined in this video. Hyperbaric oxygen therapy: A recent study showed that 2 months of hyperbaric oxygen therapy reduced pain symptoms in people with fibromyalgia. It remains to be seen whether these results can be replicated in larger studies as there were methodological issues with this study which may have biased the results. Alpha-2 delta ligands: Although initially developed as anti-epileptics and now more commonly used for pain, these related drugs have a role in insomnia and sleep disturbance. They include gabapentin (Neurontin), pregabalin (Lyrica) and gabapentin enacabril (Horizant – not available in Australia). Gabapentin has been studied in insomnia, with a study that was published in 2014 showing good effects with longer sleep and less time awake during the night. Anti-depressants: Most modern anti-depressants don’t do much for sleep, and can actually make insomnia or sleep worse for the first few weeks. So while they have a very important role in managing depression or anxiety that may be occurring together with insomnia, they are rarely used by themselves as an insomnia treatment. However, older antidepressants such as the tricyclics, amitriptyline (Endep), dothiepin (Dothep) and nortriptyline (Allegron) have mild sedation as one of their effects, so are often used to help with sleep, particularly when there is also pain. One of the modern anti-depressants, duoxetine (Cymbalta) has been shown to improve sleep as well as pain in fibromyalgia and was approved by the FDA in 2008 as treatment for fibromyalgia. A similar medication, milnacipran (Joncia in Australia, Savella in USA) has also been approved for use in fibromyalgia. Milnacipran has recently become available for use in Australia. 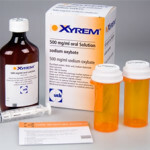 Sodium oxybate (Xyrem): has been shown to reduce tender points and fatigue symptoms as well as improve sleep quality. However, because of safety concerns it has not been approved for use in fibromyalgia. Despite this, I have a small number of patients in whom I use sodium oxybate to help with fibromyalgia symptoms. However, in Australia, there are significant hurdles to overcome to access and pay for Xyrem, which mean I have only been able to get approval to use it for individual patients in exceptional circumstances. If you think you may have fibromyalgia and have sleep-related symptoms associated it is important to discuss this with your health professional. Managing sleep symptoms in fibromyalgia is complex and requires a broad approach and individualised assessment so it is likely that your health professional will recommend referral on to a rheumatologist and may also refer you to a sleep specialist to help with managing the sleep component of your symptoms.